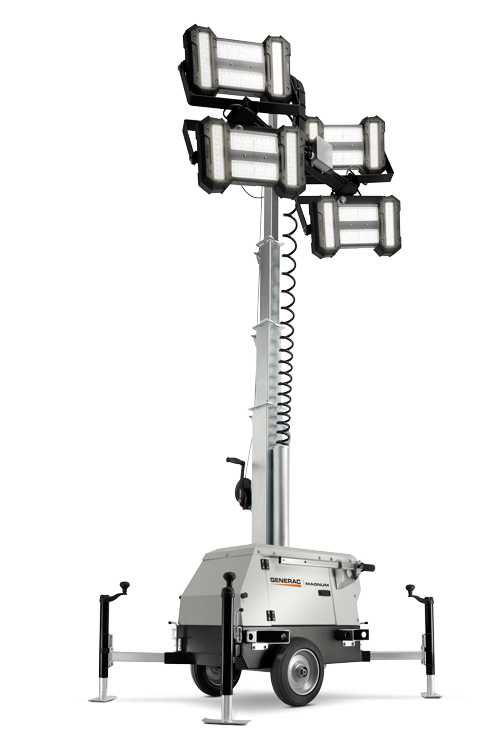 Generac Magnum’s LINKTower is a portable lighting solution that works for all kinds of temporary lighting needs. Unlike other light towers, the LINKTower is powered by a 120V outlet, so it produces no harmful fumes and can be used both indoors and out. This light tower offers the same rugged durability and reliability that you’ve come to expect from Generac products, all contained in an easy to use, compact design.